The bulbs of lilies can be cooked in a variety of Chinese dishes. Below, you see a sweet soup - more of a broth or what is literally translated as "sugar water". 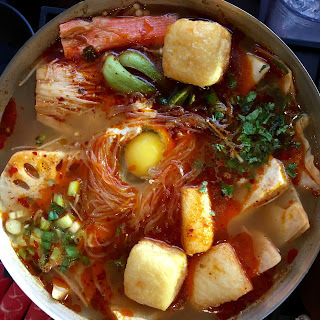 The soup calls for tremella - a loose, flowery, off-white colored type of mushroom - (one of the most potent medicinal mushrooms), and lily bulbs (l. lancifolium, l. brownii, l. pumilum) which contain many health-promoting properties. My mother's recipe below, is a not-too-sweet dessert and alleviates cough, sore throat, and insomnia. I just find it comforting on a cold winter's day. Tremella and Lily Bulb "Tong Shui"
Drain water from lily bulb. Rinse tremella several times until water is clear. Snip off any tough ends. Add tremella and lily bulb to large pot of water (about 10-12 cups) and bring to boil. Reduce heat and simmer for about 1 1/2 hours. Add 1/2 cup or more of brown rock sugar, depending on desired sweetness. I would say most Chinese people do not prefer this dessert soup to be too sweet. Simmer for an additional 25 minutes. * tremella, dried lily bulb, and brown rock sugar should be available in Asian grocery stores. 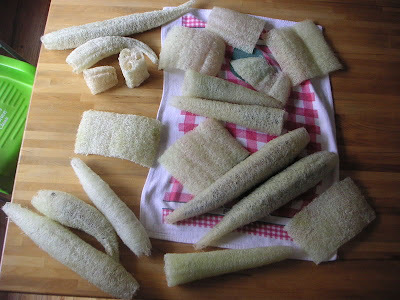 Although luffa gourd is grown to harvest young and eat, it is also widely known as the "dishcloth" gourd. Luffa.info has excellent step by step growing and harvesting directions along with photos that document the big reveal at the end of the 140-180 day growing season: luxurious scrubby sponges guaranteed to soften and smooth your skin! To grow, you'll need a strong trellis. You'll see below two luffa gourd plants. You'll find they are great climbers and get quite heavy by the end of the summer. This photo was taken early in the season. 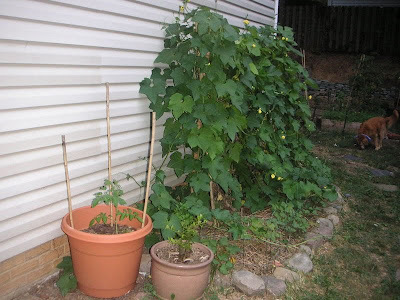 You can see the young tomato plant in the larger container next to it and understand why I dubbed the luffa "the beast" by the end of the summer. 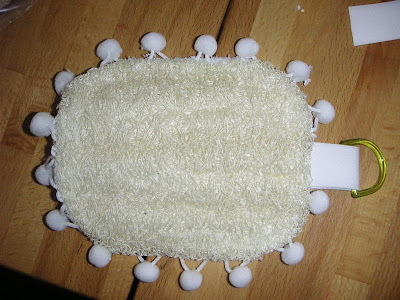 Super simple to make the sponge below: First I cut the luffa sponge to the size and shape I wanted. Then, I found a new, thick, totally luxe bath towel and cut a piece to size. Next, I used a strip of the pom pom decoration that I bought by the yard in the notions department of my favorite fabric store. I sandwiched the pom pom strip between the luffa and towel. I did use some clamps (paper clips actually!) 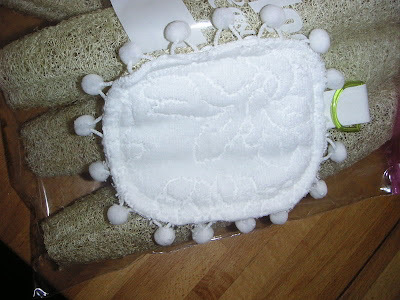 to hold the pieces together, but because the inside of the luffa is so textured, it readily gripped the back of the towel as well. I also inserted the little D-ring (also from the fabric store) and a wide piece of bias tape. This is for hanging the sponge in the shower. I used a sewing machine to sew the pieces together about 1/4" from the edge. 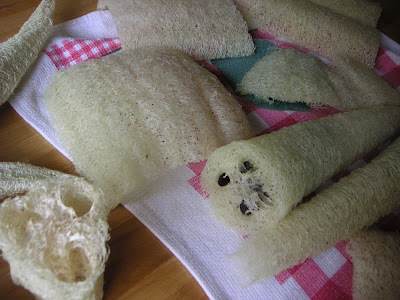 You may see an impression, but because both luffa and towel are so thick and textured, the actual thread nearly disappears. This is a project that beginning sewers can accomplish with ease, as lines do not need to be perfect. It's VERY forgiving! Though I hadn't touched my sewing machine in years, I was still able to relearn how to use it again and also make multiple sponges in just a couple hours or so from start to finish. I think my friends and family were delighted to receive these sponges as gifts along with one of my favorite products - Bee and Flower rose-scented soap. This soap has a wonderful true rose fragrance and can be found (cheaply!) in an Asian supermarket or online. I love it for the packaging just as much as the scent. My heart skipped two beats today- once when 2 dozen white roses were delivered to my office, and for the second time when my husband told me how much he'd spent on this gorgeous bouquet. Bonus points he didn't even know he'd earn: good timing. Here's my GBBD contribution! The only flowers blooming around here are cut and in a vase, but take a look to see what else is blooming around the world today at May Dreams Gardens. ...but the four-year old with the hair-trigger gag reflex doesn't. 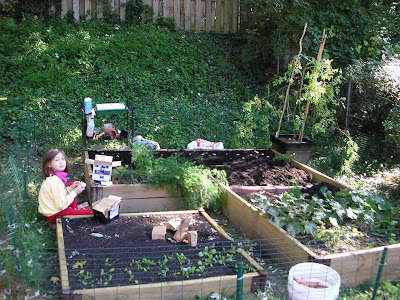 This is not OK because mom knows that freshly sprouted seeds (see my last post here) are really good for you. This Herbs are Special site is fantastic because it lists the numerous health benefits of sprouts in layman's terms. The simplest way I think about it - you take seeds, grains, nuts, legumes, and eat them raw while they're at their nutritive prime. It's good stuff. The only unclear aspect is how to get my kids to eat it. The biggest tip: serve in small doses. You know the photos you see sometimes of a deliciously fresh sandwich layered with avocado, turkey, and 3 inches of sprouts - the one that makes you feel like a Californian after a jog on the beach at 8am? The healthy person takes a slow-mo bite into that wholesome sandwich with abandon? That's a fantasy...at least in my house. I've found that for us, it's best to start with an extremely sparse layer of sprouts on that sandwich. in the bottom of a bowl of soup. sprinkled on top of a salad (I might even call these "sprinkles" next time - think she'll buy that?). mixed into tuna, chicken, salmon etc. salad (out of sight, out of mind). blended into pesto (or other) sauce. added to salad (or other) dressings. as Stephanie suggested, in a stir-fry for dinner. sprouting different types of seeds. 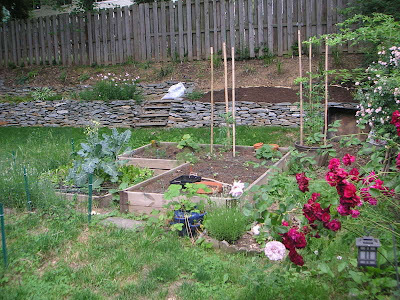 Larger legumes and nuts can be sprouted and snacked on alone. I might play up the "snack" (i.e. treat!) aspect of these sprouts. edited to add: Julie from The Little Things - my favorite mommy blog, suggests making a smiley face and adding sprouts as the hair. So clever! With a gentle introduction to sprouts, perhaps we can all come to enjoy the health benefits and develop a taste for freshly sprouted seed. Tis a big bowl for Butter Beary to eat alone. When the garden is covered in snow, when you want to play around with seeds but it's not quite seed starting time, when one of your New Year's resolutions is to eat more healthily, sprout your own seeds for eating! My materials below are from Sprout People. 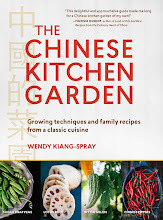 They take sprouting and their seeds very seriously and if your interest in sprouts is piqued by this post, definitely consult them. They're not paying me to say this, and if you check out their site, you'll see why I think they're so cool. If you thought people just sprouted alfalfa seeds, you're in for a flavorful shock. This time, I used Sprout People's Nicks's Hot Sprout Salad - red clover, radish, mustard, fenugreek, cress, dill, and celery. The sprouter I used has an insert with a sieve-like bottom that allows you to drain water by simply lifting it out of the outside container. Be sure your materials are ultra-clean before sprouting. Day 1: soak seeds for 8-12 hours in about three times as much water. Below, the fragrant seeds prior to soaking. This is about 2 tablespoons of seed. After the initial soaking stage, drain very well. The procedure is the same for the next few days. Every 8-12 hours, rinse the seeds and drain very well. The whole operation sits on my kitchen counter. Day 2 photo below...the seeds after the initial soaking. Day 3 photo below... follow same procedure - rinse and drain very well every 8-12 hours. Day 4 photo below...still rinsing and draining every 8-12 hours. Day 5 photo below... you guessed it. Every 8-12 hours. Day 6 photo below... I am deeming this done because I see the cotyledons opening up and the hulls are starting to come off easily. At this point, I take the cover off and leave in a sunnier spot. Within just a few hours, the baby plants continue to grow a bit and it all greens up. Later that day...below, I rinse the sprouts in a big bowl of water. The hulls float to the top to scoop out and compost. Unsprouted seed and hulls also fall to the bottom. Below, sprouts ready to eat in less than one week! Hi sixth graders working on the Baltimore Checkerspot Butterfly Restoration Project! 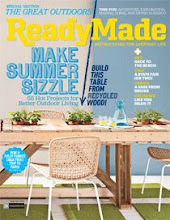 I'm so excited that you're reading my blog and getting ideas for your project! 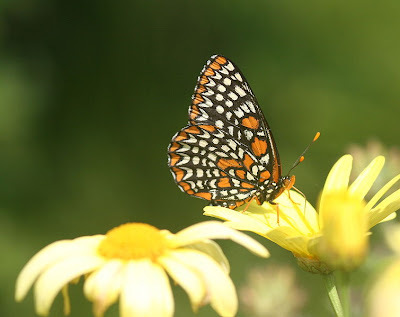 Click here to read the original post I wrote after my daughter told me about the endangered Baltimore Checkerspot butterfly...BUT BEFORE YOU DO..., please think about what your teacher is asking you to do. If you're looking for a few details about the butterfly, I have listed some in my post, and I hope you find them useful. I promise you I did not make them up. But even though I promise you I didn't make anything up, this is ultimately just a blog. Like any blog you might read - even the ones that LOOK really official, it doesn't necessarily contain accurate, objective, reliable, credible, or valid information. In other words, a lot of what you read on the Internet MAY be true, but you can't really tell for sure. One way to tell for sure if the information you're getting is reliable, is to use use a good website by a credible agency. If you do a google search and look at the end part of the URL for the different sites that pop up, lots of times sites with .gov or .org or .edu are reliable, but this is still NOT a rule. Lots of times, you can get good information from a .com, but I am still always suspicious (and you should be too) about any information I read with .com at the end of it. If you're questioning whether a source is reliable or not, please ask your parents or your teacher. This brochure about butterfly restoration is published by Howard County. This booklet that contains lots of info about the butterfly is published by the Maryland Zoo in Baltimore. This info about a restoration project is published by a nearby nature center. This site about restoration might look a little bit like a blog, but was written by a professor at a well-known college and also lists the places where he got his information from (all reliable sources too!). This is a little bit of info published by the State of Maryland. Hope you get my point about using credible sources of information. OK, have fun with your project - aren't you lucky that you have such a cool science class?!! 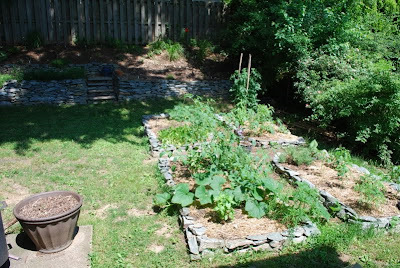 These 30 degree days have a interesting way of rejuvenating a newbie gardener, who just weeks ago was a little frustrated with slugs and bugs, disappointed with blight and wilt, and tired from trying to keep up with it all. 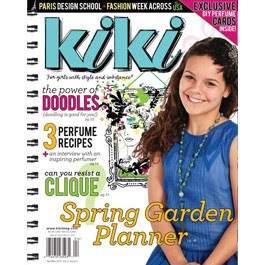 With cup of hot cocoa in hand, stack of catalogs on the side table, and kids cozied up to the TV, I have dreams of a grand garden (on a small scale). A strategy that has been working for me, since I'm driven by the calendar, is to write all important garden related dates and reminders on my big home calendar on my fridge. 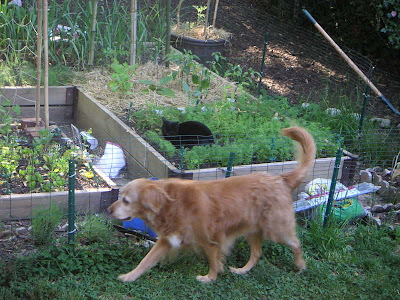 This helps me remember to water newly sown garden beds, harden seedlings off properly, and plant fall vegetables on time. Below is my almanac for the year - keep in mind that I have only a few years experience, so I'm still working some things out. 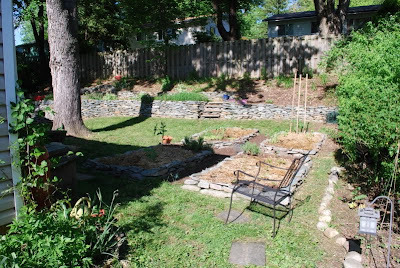 Each year, I get closer and closer to the ideal time for all of these big garden events (though I realize once I get it perfect, we'll have a sudden late frost or torrential floods, or a bug infestation that destroys everything overnight or something). Nonetheless, any feedback is appreciated! But first, what I look forward to in the early spring - my favorites: allium, baptisia, sinocalycalycanthus shrub. Early this month - when bulb shoots emerge, * fertilize bulbs, acid-loving plants, perennials, roses, lawn. * Just a note: I love the company Gardens Alive, and use many of their environmentally friendly fertilizers and products. Check them out if don't already use their products! Of course, they're not paying me to say this! If you do decide to buy from them, they always have great coupons.